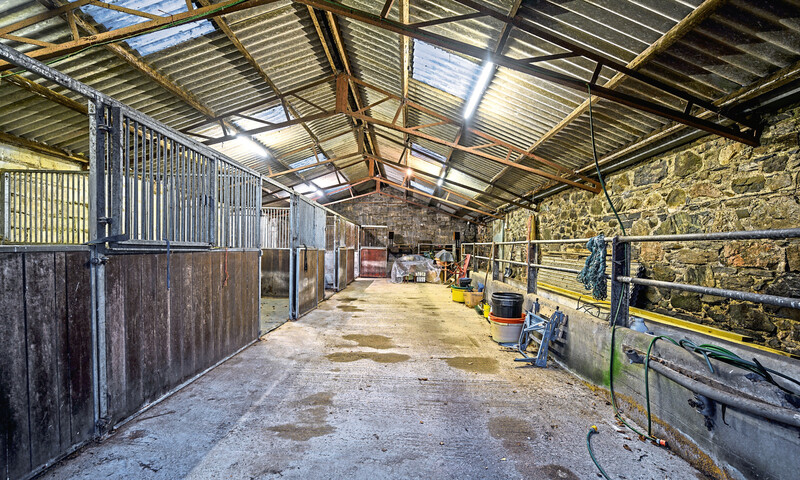 They saw beyond the work required at the late 19th Century extended croft house at Keith Hall near Inverurie, and fell in love with the idyllic location immediately. 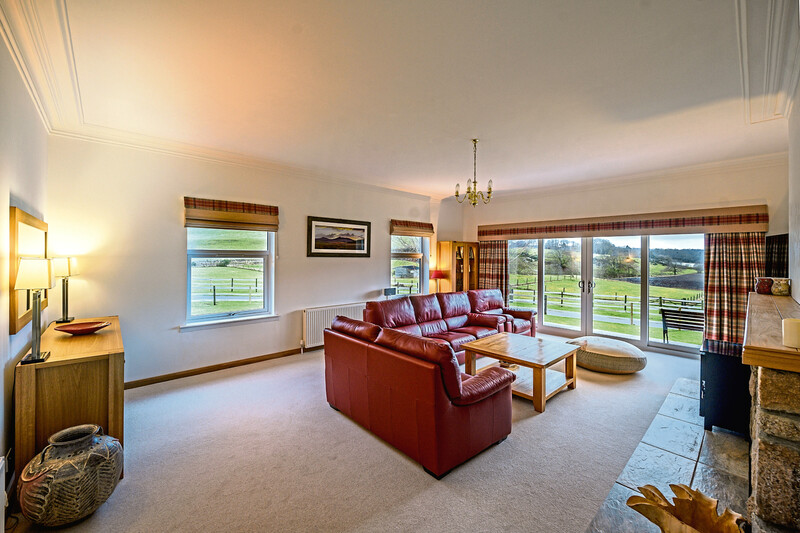 A room with a view is perhaps an understatement when it comes to summing up Eastfield’s appeal. The five-bedroomed detached property offers stunning views across the Don Valley from practically every room in the house. Allan, who retired from the oil industry two years ago, has never tired of admiring the open countryside or looking over the hills towards Alford. Now remarried, Allan feels the time is right to downsize and start a fresh chapter in Perthshire. But that does not mean to say it won’t be a sad parting, after more than 30 years of rural bliss. The views are just spectacular and change every day, from leafy green trees in summer to a snow-covered landscape in the depths of winter. The design of Eastfield means that nature greets you from all angles. 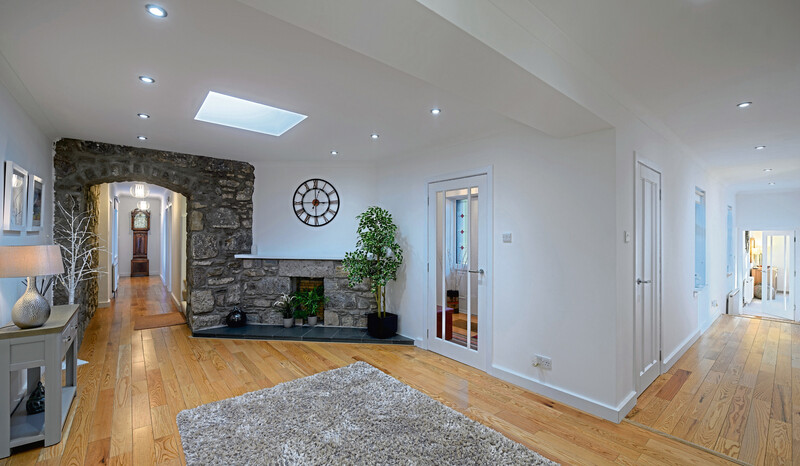 The entrance hall boasts an exposed stone archway and feature granite fireplace, and leads through to the dining kitchen/family room. 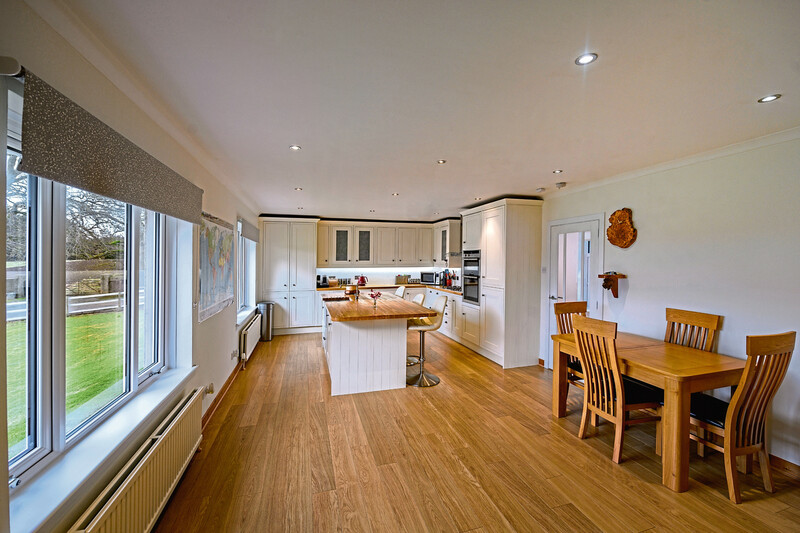 This impressive space has a wonderful country kitchen style with Belfast sink, but it also offers modern integrated appliances. You can enjoy your morning coffee looking over the grounds and you might spot the odd deer or circling buzzard. There is ample space for dining furniture and creating a relaxed family area. The ultimate vantage point can be found in the impressive lounge, thanks to wall-to-wall windows through which you can absorb the views. 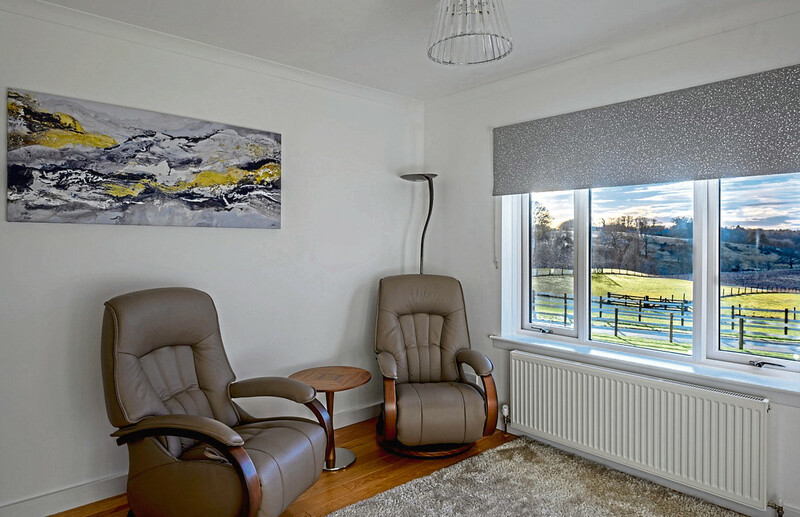 “After the working day, I loved coming home and relaxing in the ambiance of the peaceful lounge” said Allan. Four double bedrooms, one en suite, can be found on the ground floor. All feature fitted wardrobes and offer plenty of flexibility. 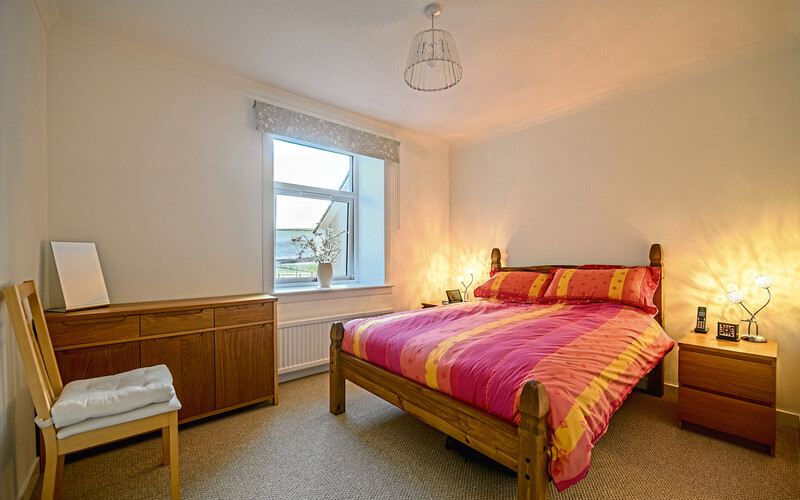 Whether you have teenagers wanting their own space, or would like lovely guest bedrooms for regular visitors, there is plenty of scope on offer. The study could also be used as a sixth bedroom or a playroom. 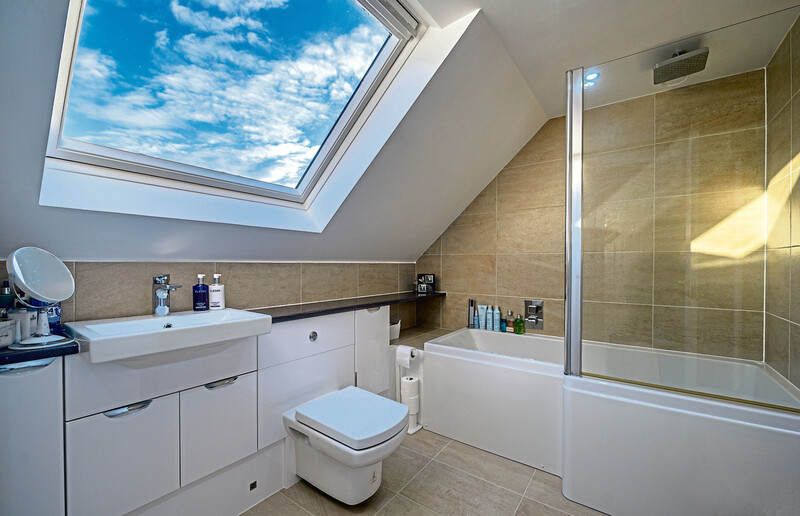 Completing the ground floor accommodation is a bathroom with four-piece suite, and a spacious fitted utility room. 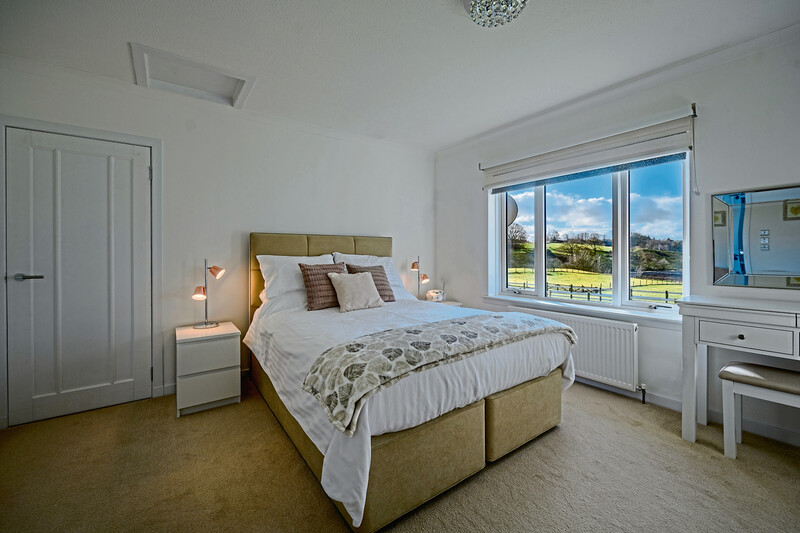 The principal bedroom suite is on the first floor and has bespoke fitted wardrobes and a bathroom with underfloor heating, L-shaped bath and rainfall shower. It is, of course, the grounds of this rural retreat which provide the finishing touches. With more than five acres of land on offer, it is a gardener’s paradise, but would be the ultimate dream for those who keep horses. 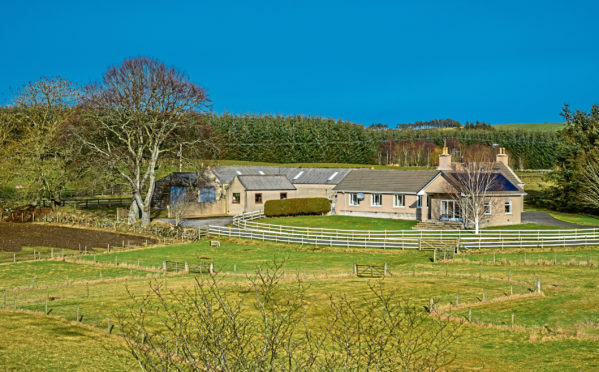 With eight paddocks, steading and stable block plus a schooling area, Eastfield would be ideal for those who wish to stable horses at home. The steading also provides the scope and space from which a home business could be run. There is a further workshop and field shelter and the grounds have mainly been laid to lawn. Since retiring Allan has found time to grow fruit and vegetables in his greenhouse. Being a member of the local walking group has enabled him to enjoy the many walks available locally. “A short walk from my back door and you have access to the woods and tracks through Keith Hall Estate,” said Allan. Offers should be made of more than £525,000. Contact Savills on 01224 971110.